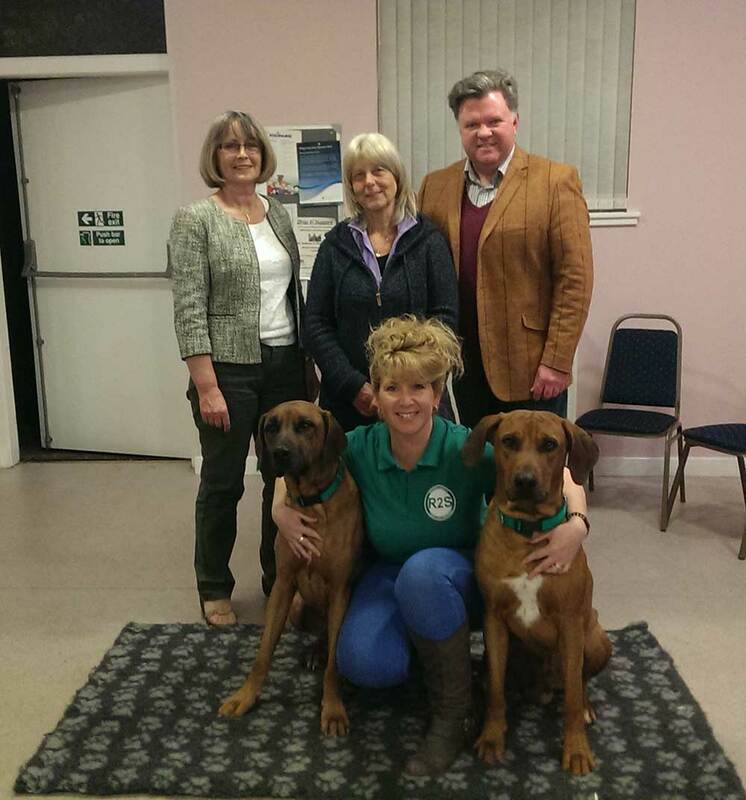 Kerry Rhodes (trainer), pictured with Colin McGavigan, Christine Russell & Anne McLennan at the Rhodes To Safety Emergency First Aid Training for Canines. The course covered a wide range of topics including CPR, AR, treatment of burns, choking and shock, wound recognition, severe bleeding, ticks, stings, bites and more. It was a highly educational and enjoyable evening with a very competent and informed trainer. The Scottish Dachshund Club aim to produce a Dachshund Calendar for 2018 and for this we appeal to all Dachshund owners for help. We need 13 photographs of Dachshunds, one for the front page and one for each calendar month. We are looking for fun/action/cute photos of all dachshund varieties and sizes. The outright winner will be depicted on the front cover and 12 further winners will be chosen for each month. The closing date for entries is 31st July, 2017, so plenty time for all you budding David Bailey’s to get out and about with your little friends to take some nice shots. Entries should be e-mailed to anne@thescottishdachshundclub.com please include your contact details and also the pet name of your dog(s). Dachshunds are active, functioning hounds, any portrayal of handbag dogs will not go down well with the judges!! !